Founders Brewing Co. 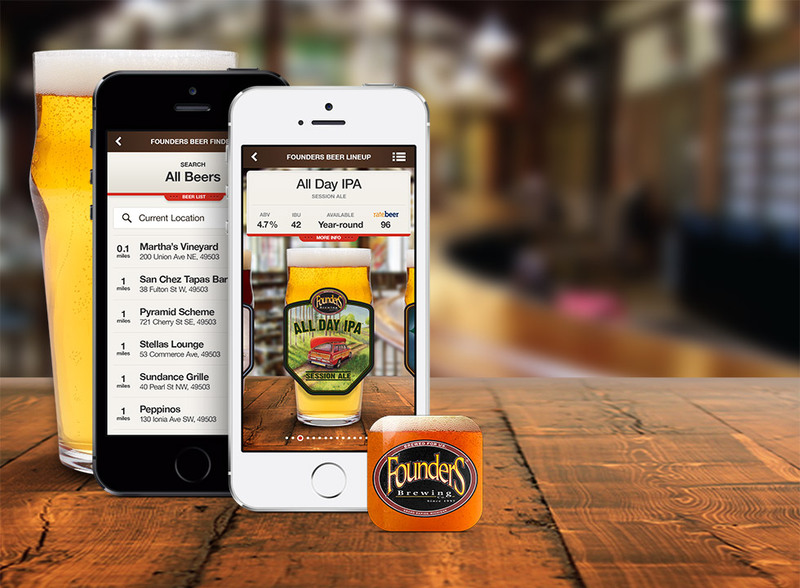 Mobile App - Founders Brewing Co.
Find the nearest bar, restaurant or store selling your favorite Founders beer. Browse our beer lineup to learn more about all of our beers and to keep up on availability of seasonal and specialty releases. See what beers we’re pouring in our taproom–and check out the Rate It feature to send feedback about experimental taproom one-offs directly to our brewing team. Keep up-to-date with upcoming live music and events in our taproom. Be sure to allow push notifications so that you can get real-time updates about Founders happenings your area, including taproom draft list additions in greater Grand Rapids and event reminders in cities across our footprint.